The National Association of Bodyshops and Vehicle Builders and Repairers Association have merged brands to become a ‘single voice’ for the UK’s independent crash repair sector. 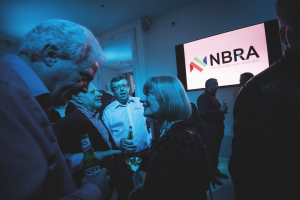 Formerly known as RMI Bodyshops (NAB & VBRA), the National Body Repair Association (NBRA), enters the sector with a new rebrand and focus to tackle an agglomeration of issues expected to affect its members in coming years. Jason Moseley, Executive Director at RMIF, will head up the new division. “The RMI Bodyshop Division for the first time ever has one voice representing the bodyshop repair industry”, he said. “One thing that we hear in the market is consolidation. My view and the view of the NBRA is quite possibly that over the next 10 years, two thirds of revenues from repair could come from four big consolidated bodyshop groups and potentially in the end we could see those groups performing virtually all the insurer paid repairs. Acquisition is all part of this consolidated picture and that’s exactly why the NBRA has reflected on what we need to do and the services we need to provide that is changing”. The partnership also seeks to challenge ongoing problems with data protection, the Connected Car as well as enticing younger generation technicians into the industry to tackle these models. Roger Collins, Chairman of the NBRA, concluded. “It’s vital as part of our change we are the centre of change, discussions and negotiations because it’s undoubtedly going to change the market”.